If you're in the need of burning either a CD or an DVD you can find the best software for this in this section. Find a program that fits your needs the best and burn music, movies and other kind of data. If you need to convert files you should check out our Converter-section. Nero is very easy to use and contains numerous programs and tools to help you create, rip, burn, copy, edit, and upload video and audio content. Nero is one of the best programs for converting video to DVD or DVD to video files. You can also convert your DVD films to iPod or make your own custom DVDs. Nero offers a multitude of options for enhancing your multimedia experience. Many programs made for burning discs are advanced and contains many features, which most users never use. Ashampoo Burning Studio is simple and contains the tool mostly used. This is enough for most users. However you'll find some build in tools in the program. The tools are such as the multi-disc file backup tool, CD ripper, improved Blu-ray support etc. Acala DVD Creator has a build in video converter. It can convert almost any type of video to DVD video. When that is done the video is ready to be burned to a DVD disc. This task is also easy done by the program. You can even choose to automatically shut down your PC, when the process is done. 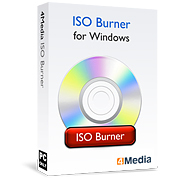 4Media ISO Burner supports many different sorts of input files, such as BIN/CUE, IMG, MDF, NRG, CDI, B5i, B6i, DMG etc. It is free to try this program, but you can get it for a small payment, if you want to use all its features. And it's understandable as BurnAware is freeware licensed and it makes it easy to burn audio, data and video to discs. 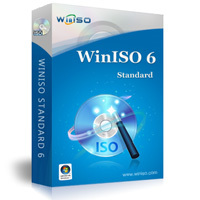 Furthermore it enables you to make ISO and CUE images and much more.